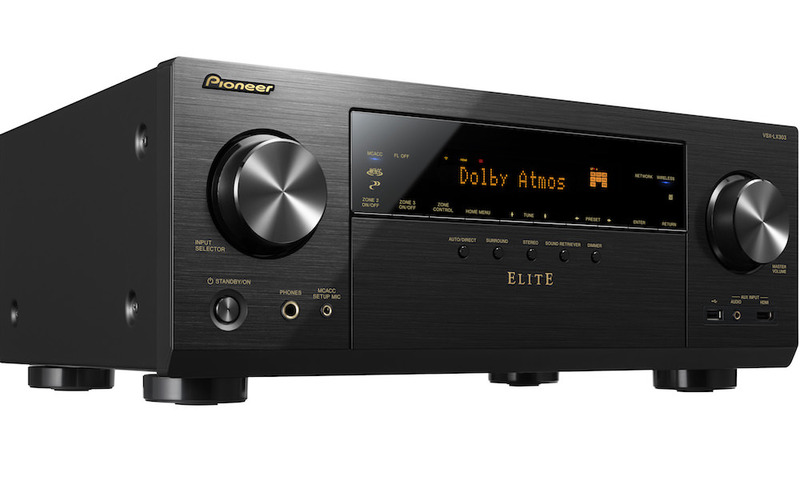 Pioneer today announced the release of their top-of-the-line Elite A/V receivers: the SC-99 ($2,500), SC-97 ($2,000) and SC-95 ($1,600). 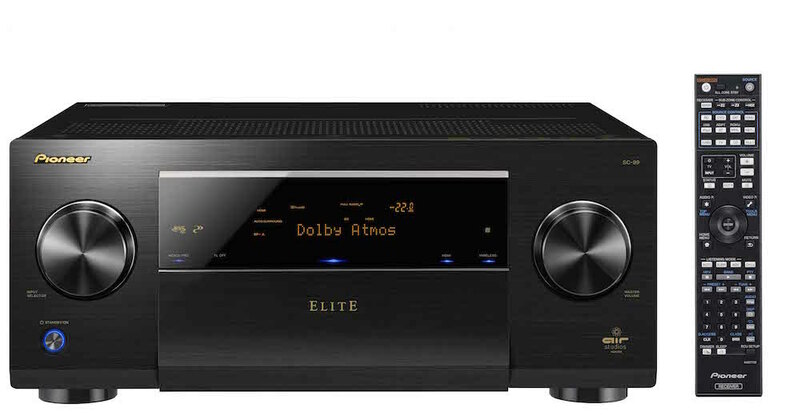 Feature-rich and packed with the sort of audio and video horsepower that is the hallmark of the Elite series, the new receivers are Dolby Atmos-enabled and compatible with DTS:X so owners can submerse themselves in 360 degrees of surround-sound. There is very little that separate these high-end products from each other. They all look the same and have the same remote. There is a small wattage difference, but mainly the most expensive SC-99 adds a USB DAC and beefier power supply, while both the SC-97 and SC-99 add Air Studios certification. 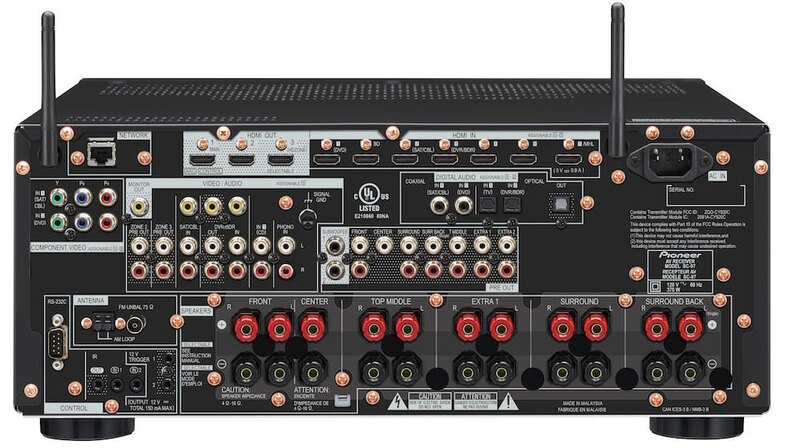 All three receivers feature Class D3 amplifiers which enable high-power output across all channels simultaneously for deeper and more powerful sound: SC-99 9-channel 850W; SC-97 9-channel 810W, and SC-95 9-channel 760W. Each unit features MCACC Pro automatic acoustic correction technology that corrects temporal reverb and phase characteristics. This is an ideal solution for object-based audio playback as it faithfully reproduces three dimensional audio mixes as they were originally intended. In addition, the dual subwoofer EQ correction feature enhances the ability to reproduce deep bass, producing the ideal sound field for multichannel playback. A Full Band Phase Control feature measures and corrects the lag between low-pitched and high-pitched sounds and differing phase characteristics between channels, while the Auto Phase Control Plus feature provides real-time, fully automatic compensation for phase difference in low frequency effects. 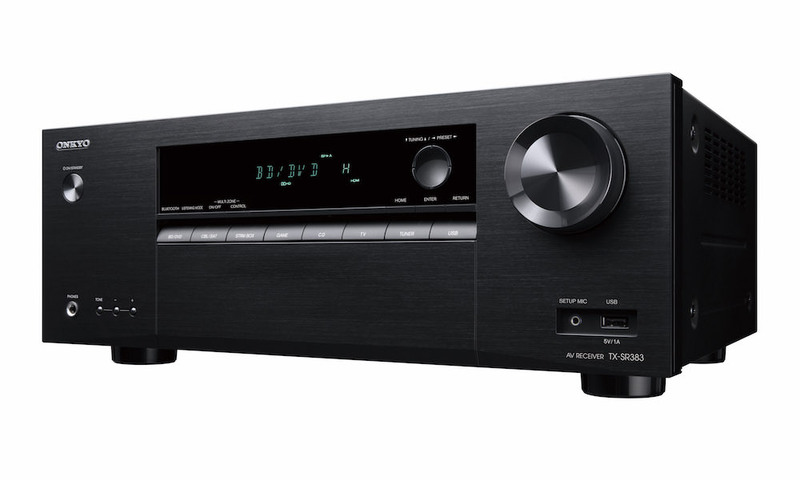 No detail is overlooked as each AV receiver achieves high-fidelity playback through the use of dedicated audio components and specialized sound-quality tuning. Low ESR custom capacitors, PLU MU capacitors created in conjunction with Rubicon Corp and the NJM4585 Op Amp by JRC all combine to create a high signal to noise ration with low distortion and high resolution across a wide bandwidth. The employment of two SABRE32 Ultra DAC (ES9016S) units from ESS Technology produce world-class dynamic range, low jitter and low distortion ensuring the capabilities of the Class D3 amplifier are utilized to their fullest extent. Finally, a thorough commitment to sound-quality measures even in the smallest details via the use of a new Anti-Standing Wave Insulators that are designed to inhibit not only vibration but standing wave occurring in the insulators. The employment of a Low Leakage Flux Power Transformer in the SC-99 reduces magnetic flux noise and boosts the signal-to-noise ratios. The Elite SC-99 and SC-97 have been certified at London’s legendary AIR Studios whose work is respected worldwide for award-winning, motion picture soundtracks and peerless digital CD recordings. AIR Studios understands the artist’s craft, and like Pioneer, believes that faithfully reproducing what the artist originally created in the studio is the critical objective of the finest home theater system. 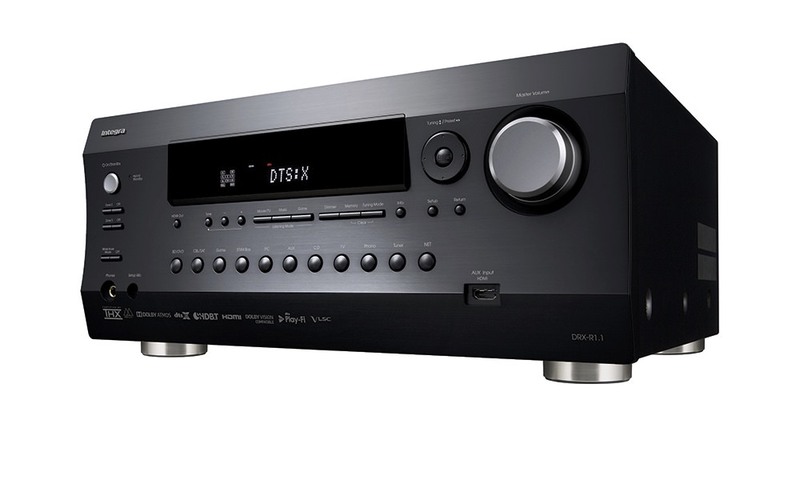 Each AV receivers supports 4K/60P/4:4:4/24-bit video signals, with HDCP 2.2 copyright protection and the latest High Dynamic Range (HDR) signals for connecting with the latest 4K Ultra HD displays and sources. 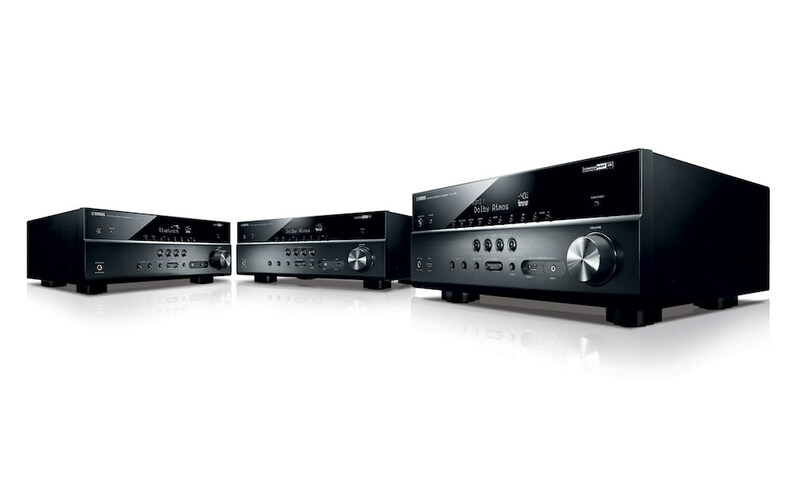 Super Resolution, a 4K Ultra HD technology derived from the development of the Elite BDP-88FD/85FD, has been incorporated into these AV Receivers, and allows 4K video signals to be even more detailed, natural and realistic. All 2015 Elite models offer built-in Wi-Fi and Bluetooth wireless technology and are equipped with dual antennas that provide Dual Band Wi-Fi (2.4 GHz and 5 GHz) for greater network range and connection stability. Elite models support Wireless Direct and even in an environment without a network can be operated using the free iControlAV5 control app. With AirPlay compatibility, these Elite AV Receivers let you enjoy effortless streaming music from iPhone, iPad or iPod touch. 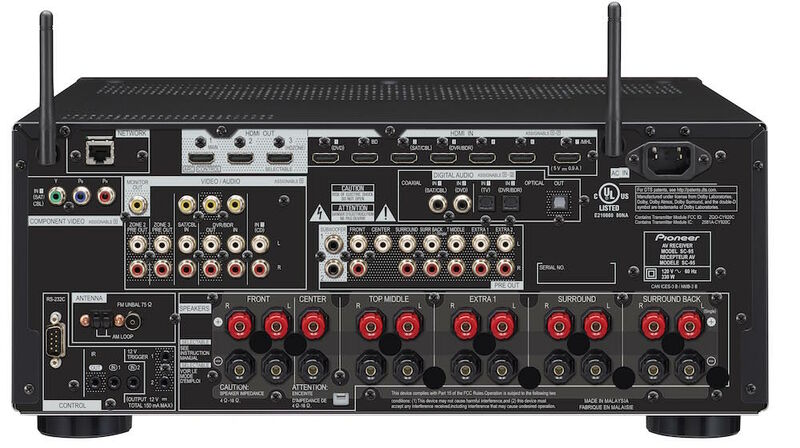 In addition, the Elite AV Receiver is Windows 8.1 certified and supports DLNA 1.5 media streaming and HTC Connect. 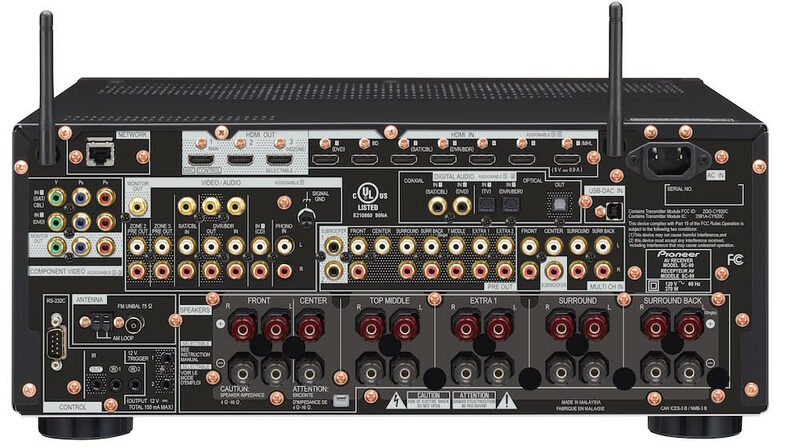 These three new Elite AV Receivers offer both RS-232c interface and full IP control providing compatibility with the most popular home automation systems. For custom-installed home theater solutions, all models offer multi-zone AV capability: home theater in one room; HDZONE (HDMI) to a second room and analog music in a third room. 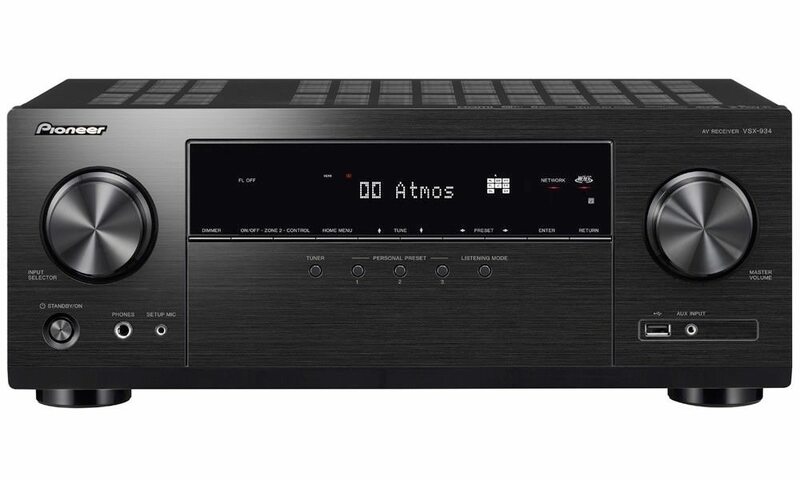 However you choose to use it, these receivers give you the features and flexibility that come with owning an Elite AV receiver. And because Pioneer is dedicated to custom installation, our relationships with custom-control providers like AMX, Control4, Crestron and other leading brands makes the Elite AV Receiver the perfect centerpiece for whole-house systems. 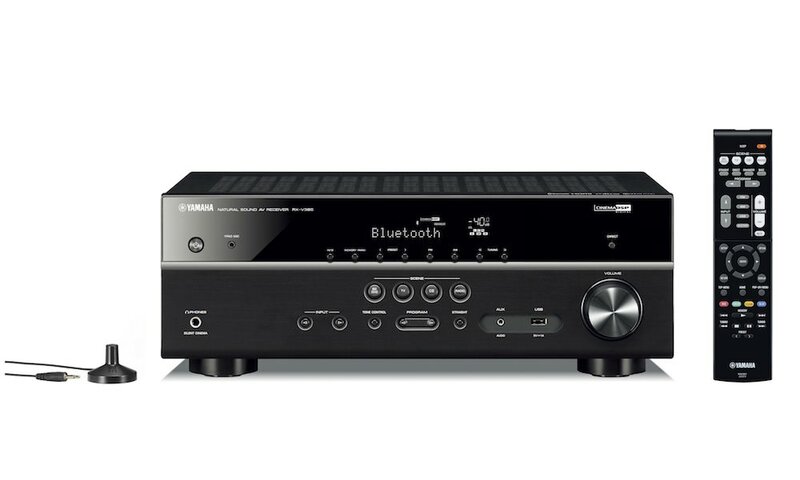 With Internet Radio, the Elite AV Receiver gives you a world of entertainment options. You can enjoy thousands of Internet radio stations around the world with vTuner, or access your favorite music from Pandora and Spotify, complete with on-screen album art and music information.